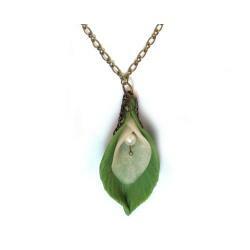 Handcrafted leaf enwrapped Calla lily pendant. 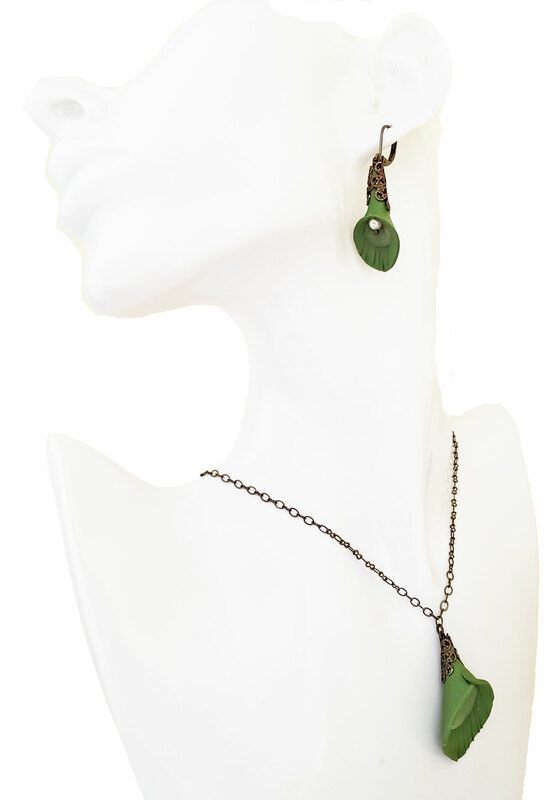 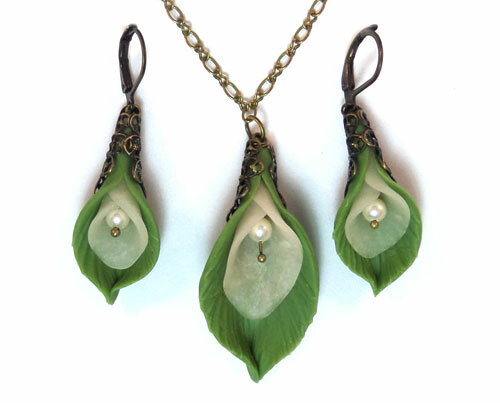 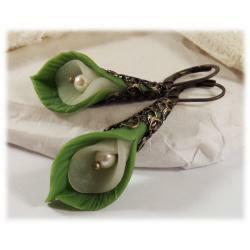 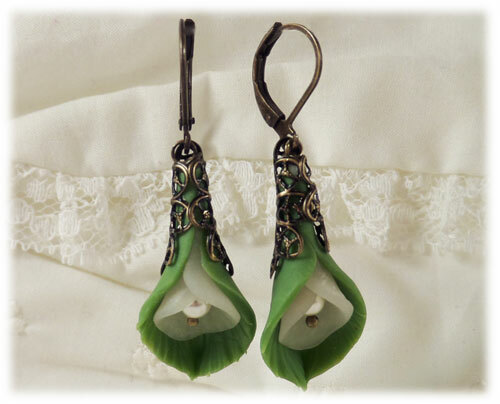 Both leaf and Calla lily are hand sculpted with clay and enclosed with a lace style filigree. 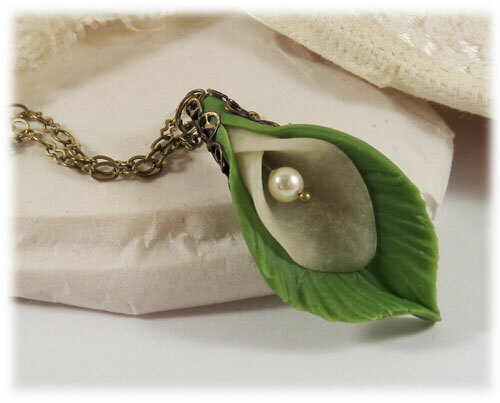 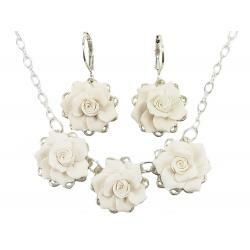 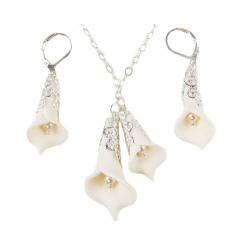 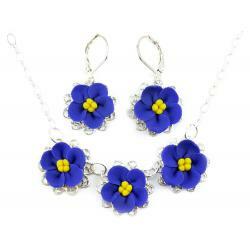 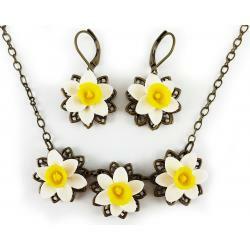 Choose silver, gold or antique brass style.Center of the flower offers a cream color 4mm Swarovski pearl. 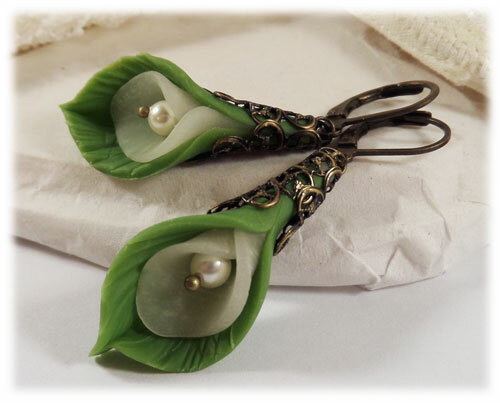 -Leverbacks : Choose silver, gold or antique brass style. 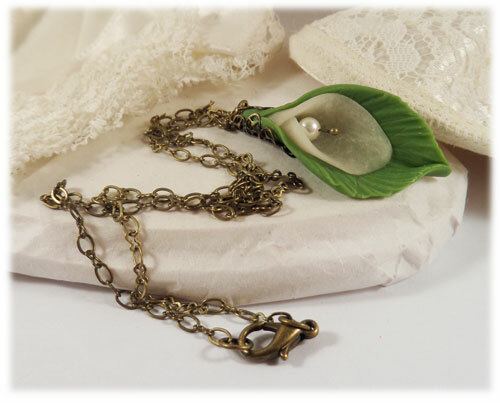 -Chain : Choose silver, gold or antique brass style.